Welcome to Portland Flooring & Carpet of Tigard, Tigard’s Trusted Flooring Source for Tigard Carpet and Tigard Flooring Materials and Installation. (503) 388-6070. If you’re looking for the highest quality carpet, hardwood, laminate, vinyl flooring, tile or area rugs, you’ve come to the right place. Our goal is to provide the highest quality flooring at the best possible prices, along with the most professional installation services available at any Tigard Carpet Store today. We’ve been a leading Tigard Carpet & Tigard Flooring Sales and Installation company since 1995, Supplying and Installing Tigard Carpeting and Tigard Floors. 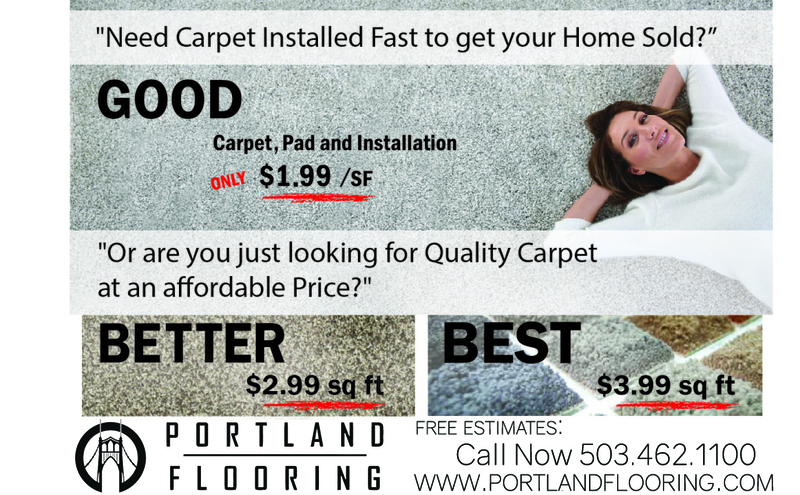 Portland Flooring & Carpet of Tigard is staffed with trained professionals estimators who will assist you to select the best carpet and flooring for your home, lifestyle, taste, and budget. 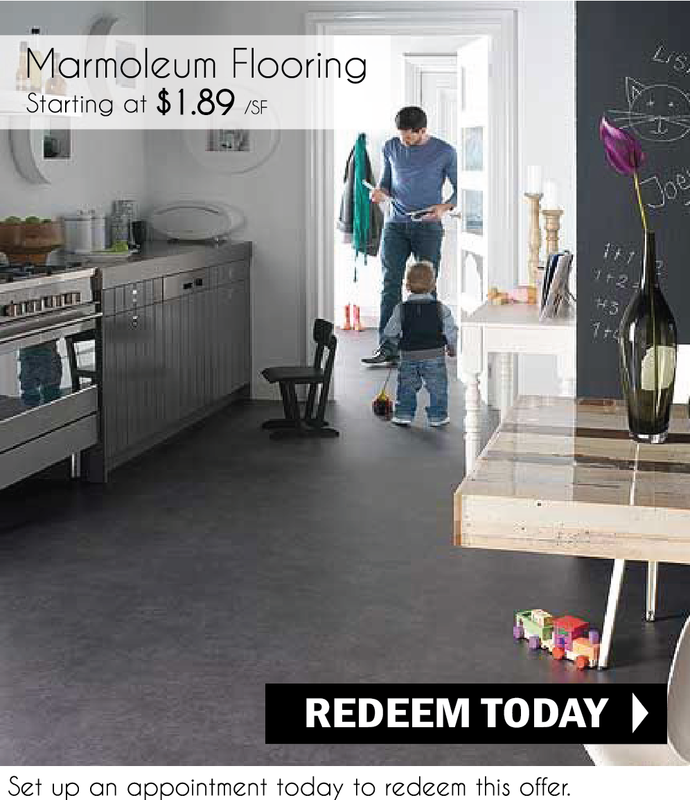 Browse our carpet and flooring products online. We have thousands of samples to look at. Write down your selections and sign up for an estimate online today, and request your estimator/design consultant to bring those samples when they measure. 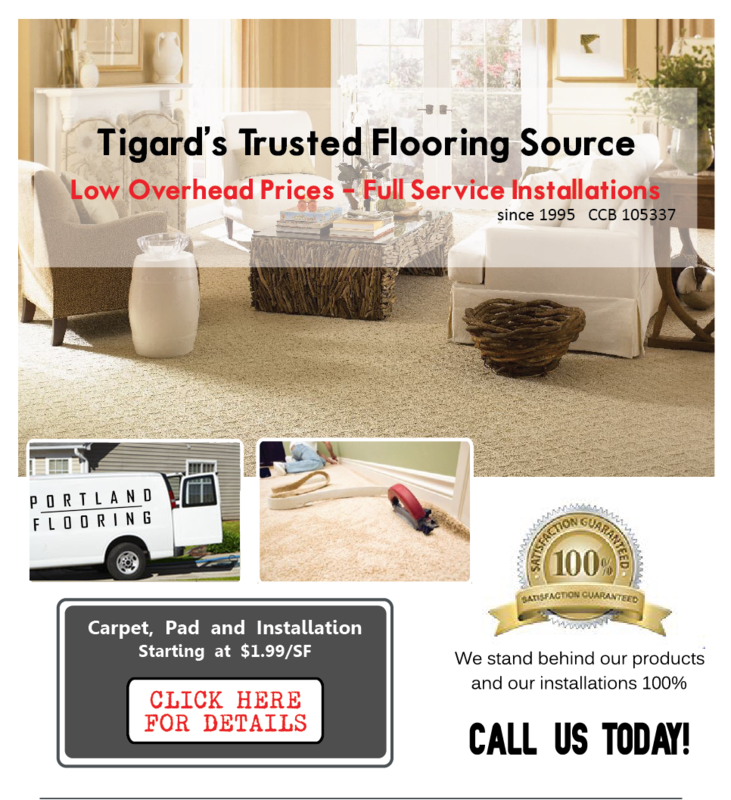 Portland Flooring & Carpet of Tigard services the Tigard, King City, Metzger, Sherwood, and Bull Mountain Communities.